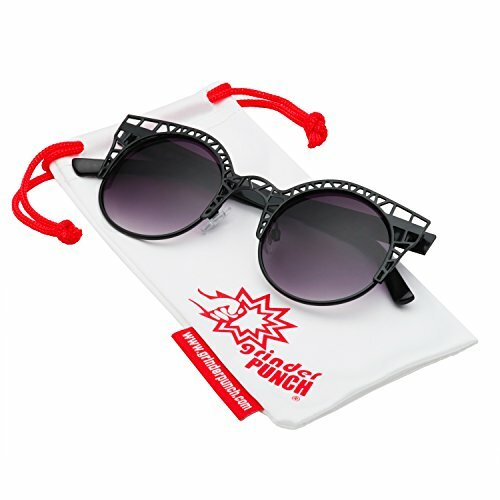 grinderPUNCH Women’s Fashion Metal Cut Hollow Out Frame Round Cat Eye Sunglasses have UV400 Protection from UVA and UVB rays. Includes a grinderPUNCH microfiber cleaning pouch. The lenses come in many different colors and gradient shades, which allows for multiple color combinations! Great for fashion and daily wear.